So much to learn at writers conferences! When I talk to other writers about writing conferences, I experience one of two reactions: confusion or recommendations. Never anything in between. Why confusion? Usually these are writers who have been so focused on their manuscript that they don’t know about writer conferences. 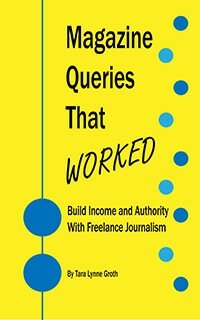 They generally don’t know much about some or all of the following: querying, what a query letter is, what to look for in an creative writing MFA program, the classic workshop format, freelance strategies, or literary journals. Every writers conference has a different focus or format. Some are about craft and follow a classic workshop format where you submit your work and participate with peer-driven constructive critiques. Others are about publishing and have panels with industry experts, and one-on-one pitch sessions with agents. While others are all about professional development. And the length of conferences vary, from one day to 2-3 weeks. Agents panel discussion at the 2011 Atlanta Writers Conference. The three big features that attracted me to this conference: It’s one day and less than a two-hour flight, so I can easily go for just a night or two and not have lengthy air travel or extra hotel costs like a west coast trip would require. It’s a city I’ve never been to before. I’ve always been curious to visit Chicago–during a WARM season! Also, this conference offers one-on-one agent pitch sessions. Since my focus right now is finding an agent, I want to maximize my conference choices by getting face time with agents. What piqued my interest about this conference: It’s only one weekend, and that’s easy to fit into a busy summer schedule. It’s in New York, so I can visit my sister and maybe squeeze in some genealogy research. Like the conference above, this one offers agent pitch sessions. I’m registered for both conferences and reserved agent pitch sessions at both. Almost all of my travel is booked–all I have left to do is buy my Chicago airfare! So where are you going this year? Will I see you at one of these events–or do you have another conference for me to consider? Let me know! Thx! Good luck on your search. If I hear of anything near you I will let you know! You’re lucky to be near writer conferences. We don’t have many in NZ. I’d love to go to one in UK when I’ve finished my draft. Wow, maybe that’s a sign you should start a NZ writer conference? I want to try to go to some of those especially The Writers Digest Conference in NYC. There is a one day Triangle Book & Writers conference in Raleigh on February 16, 2019. I t was rescheduled because of the hurricane so instead of $150 it’s $75. That’s a deal. Thx! I shared the info with Triangle Writers yesterday. I haven’t been to a conference in a while, and I’m getting back into it this year. I’ve been invited to host two writing workshops and editorial consultations at the Auckland Writers Festival in May. I’ve never been to NZ, and I’m so excited to go! Been looking for advice on this, thanks. Good luck.